There are few things to do on the Internet more exciting, fulfilling, and brimming with potential than starting a blog. If you don’t have a blog, you should start one. Everyone should have a blog, if only to leave a record of the fact that you were here, and felt passionate enough about something to share it. There are plenty of blogging platforms designed just for this purpose. You don’t have to be a great writer. You don’t even have to use words. You can blog entirely in pictures and video. If you are clever, you can even do it in emoji. But blogs can be so much more than that. If you are so inclined, a blog can be the foundation of your next billion dollar business. You don’t need a loan or financial backers. You can get started for $0, and add on to the business as you grow. I don’t recommend starting any serious endeavor with no financial skin in the game. Even so, starting a serious business enterprise is so close to free, money is simply not the barrier to entry. When it comes to bang for the buck, nothing beats a blog. One of the most exciting aspects of starting up a new blog is just how surprisingly easy it is. It is not that there isn’t plenty to learn. You can get lost in weeks of research before making a decision. But you can also grab a turnkey solution that costs you no money, and get up and running with a surprisingly decent blog within minutes. It all depends on the type of blog you are after. The first thing you will need is a clue about the kind of blog you want. A blog for keeping your friends and family up to date with your backpacking journey across Europe is very different then the blog you will need to conduct ecommerce. There is little difference between a blog and a full-blown website. Toss that distinction in the garbage, and just decide what it is you want to do. Making that decision is the biggest part of getting started. Naturally, there are a few other steps you will want to take. Almost any host will do if you do not plan to do anything particularly important with your blog. However, if you have greater ambitions, the right web host can be a powerful, competitive advantage. 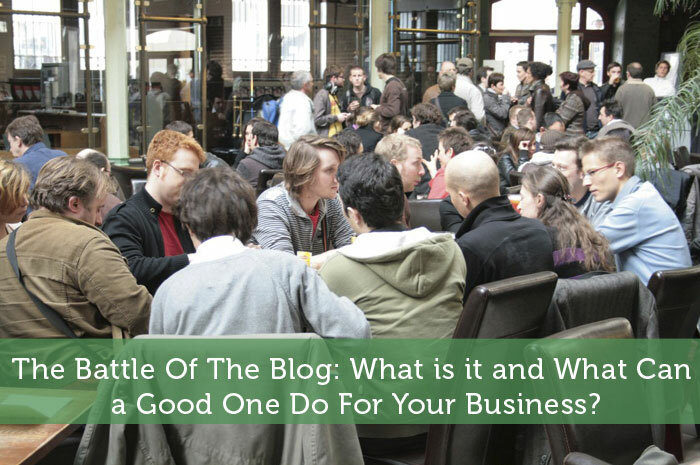 In the battle of the blogs, the best ones often come down to which web host they have chosen. Web hosts have different strengths and weaknesses. Make sure you choose the right one for the job. For instance, you may want host a software in the cloud type of site (an ambitious project, to be sure), Your task will be to find a web host that specializes in that area. Most of the services will get the basic job of web hosting done. But if you want to do more than a basic job, a little homework will pay off big. Whatever type of blog you launch, don’t let price be the deciding factor. If your blog really matters, a cheap one with poor service can be the death of your business. If your business is selling tools, you need to provide free classes on how to properly use tools. Ask nothing. Expect nothing. Offer sweet tea to anyone who stops by for training. You never have to pitch your tools. Regardless of what tools they bring to class, you are now the expert on tools in their mind. Also, you offered them a refreshing drink. Of course they will purchase their next set of tools from you. When webmaster and designers search Google for these topics, they will find expert advice, and perhaps their next web host. That is the power of a good, informational blog. You are a handy person. Make a blog that teaches people how to do basic tasks around the house. Don’t keep trade secrets. Share them. Invite them to ask you questions about their projects. When they run into challenges beyond their skill-level, they will call on you to help. Make your blog genuinely informational. And people will find themselves entering your virtual shop without even realizing it. Whether your blog is for business, pleasure, or Internet rants, you can be up and running in minutes. Blogging done right can be a boon for your business … you just gotta create value for enough people! I think the most important part is picking a topic that you love. After all, you will be writing about it all of the time. If you are just writing about something for money it will be fun at first, but eventually it will wear off. Pick a topic you love and you will have a greater chance of being successful at it.